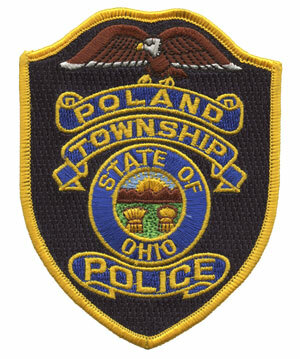 The Poland Township Police Department is dedicated to the needs and responsibilities of the residents. It is also on a never ending quest to go above and beyond to keep each and every officer safe in his and her performance of their duties. The Chief of Police is charged with the responsibility of overseeing the operations of the department. The department has two (2) Sergeants who oversee the patrol division. As of January 1, 2015 the police department has an authorized strength of twelve (12) full time sworn officers, five (5) casual sworn officers, one (1) Police Chaplain, and one (1) clerical support staff. The Police department operates out of a facility, which is located at 3339 Dobbins Road. The police department vehicle fleet is comprised of seven (7) marked patrol units and one (1) unmarked vehicle. Mobile data system are installed in the patrol vehicles. This enables officers to receive information on vehicles and drivers license without using the police radio. An average response time for information is 3 to 4 seconds. Silent communications between officers and additional departments on the system is also available. Eventually, reports will be able to be completed in the patrol vehicle, forwarded to the department and then printed allowing the officer to spend more time patrolling the area.